Fifteen GTCC students earned first place during the SkillsUSA North Carolina State Conference held April 18-20 in Greensboro. 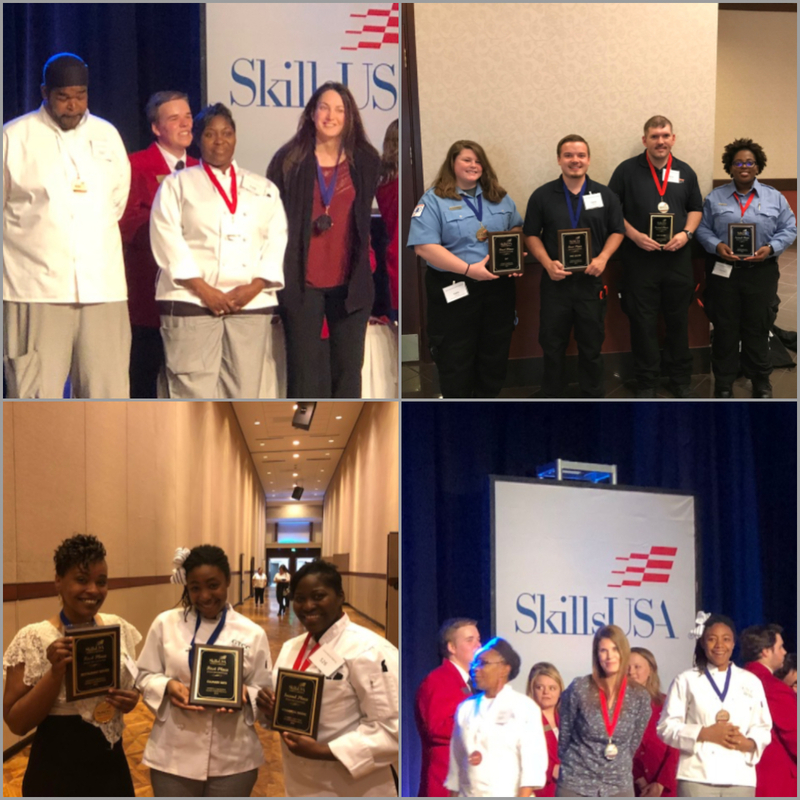 JAMESTOWN, N.C. — Guilford Technical Community College students excelled at the SkillsUSA North Carolina State Conference held April 18-20 in Greensboro. Fifteen students placed first in the competition with several advancing to compete in the 54th annual SkillsUSA National Leadership and Skills Conference June 25-30 in Louisville, Kentucky. The statewide competition was held at the Greensboro Coliseum, Joseph S. Koury Convention Center, and GTCC’s Jamestown and Greensboro campuses. GTCC had 87 students competing across 26 skilled trade areas including automotive refinishing technology, aviation, CNC milling, culinary arts, cosmetology, computer programming and emergency management. Fourteen of the first-place contestants, along with nail care model Savannah Spivey, will compete at the national competition next month. It is a significant achievement where each winner has claimed their spot in the top 3% of all students in their trade area. SkillsUSA is a national nonprofit organization serving teachers and high school and college students who are preparing for careers in trade, technical and skilled service occupations. Through its local, state and national competitions, students demonstrate occupational and leadership skills.